In a David-and-Goliath battle over a slice of Papua New Guinea paradise, Hollie Fifer’s investigate documentary comes to our screen following court action in Australia. 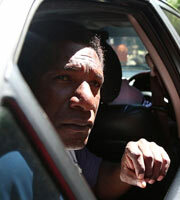 Joe Moses, leader of the Paga Hill Settlement, struggles to save his 3,000 people before they are evicted. Battling it out in the courts, Joe may find his community replaced with a five-star hotel and marina.